Accidental drowning is the second leading cause of death for U.S. children under age 5, after birth defects. For youngsters under 15, only traffic accidents are responsible for more deaths by injury. And while drowning rates have declined slightly since the turn of the century, blacks continue to die from drowning at considerably higher rates than whites. Faced with such stubborn figures, public health advocates and researchers complain that state and local governments aren’t doing enough to prevent drowning deaths. Critics say most states don’t have sufficient laws or don’t enforce laws that could lessen the chances of drowning, such as requirements for fencing around private pools and the presence of trained lifeguards. And, they say, too little is being done to make sure that children have swim lessons and water safety skills. “There is so much that can and should be done,” said Andrea Gielen, director of the Johns Hopkins University Center for Injury Research and Policy. According to the Centers for Disease Control and Prevention (CDC), 3,391 people died by accidental drowning in the United States in 2013, about the norm in the years since 2000. Of the 2013 drownings, 625 were children under 15. Injury and swimming experts such as the Red Cross say the best way to reduce the risk of drowning is by making sure that people know how to swim, although exactly how that can be accomplished for all is elusive. “It’s just common sense that if you can’t swim there will be greater risk of drowning,” said Jeffrey Weiss, a Phoenix pediatrician active in anti-drowning efforts there. The state of Washington — which has taken several other steps that, experts say, may help reduce the risk of drowning — is a model for others, advocates say. The state, which has more drownings in lakes, rivers and ocean water than in pools, requires that all children under 13 wear a U.S. Coast Guard-approved life preserver in any boat that isn’t anchored and is less than 19 feet in length. The law also requires that all water skiers wear life jackets. According to the U.S. Coast Guard, of the 418 reported boating-related drownings in the U.S. last year, at least 80 percent involved people who were not wearing life jackets. Washington state also launched the nation’s first life preserver loaner program in the early 1990s, making life preservers available for borrowing at 180 sites. The idea has taken off and, according to the Sea Tow Foundation for Boating Safety and Education, by 2013, at least 44 state agencies or boating safety organizations had life jacket loan programs at nearly 2,000 lakes, rivers and beaches across the United States. Washington state also requires that pools at newly constructed homes be surrounded by a four-sided fence. 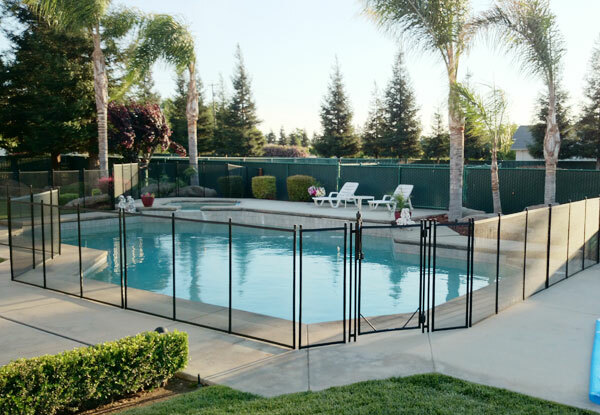 Safety experts also recommend that pool fences have self-closing or self-latching gates. The final element in the state’s anti-drowning policies is a requirement that all public pools have a lifeguard on duty during operating hours. The requirement does not, however, extend to public beaches. Thomas Gill, a spokesman with the United States Lifesaving Association, said that some areas of the country have a shortage of lifeguards, especially when students leave those jobs to return to school. The shortage, he said, is a result of poor pay rather than a lack of prospective guards. Public pools usually curtail hours of operations or limit areas where swimming is permitted when shortages of lifeguards occur, Gill said. Tom Griffiths, president of the Aquatic Safety Research Group, a consulting firm on swimming safety, said there have been a few drownings at public schools, but they were a result of school systems mistakenly thinking that a swim instructor could simultaneously serve as a lifeguard. “It’s impossible for them to do both at the same time,” he said. Griffiths said that having lifeguards on hand is not sufficient in any case. He promotes the idea that children and weak swimmers should wear life jackets in any body of water. While no organization appears to track which states have laws similar to Washington’s fencing and lifeguard requirements, Connie Harvey, an anti-drowning expert at the American Red Cross, and others who work in drowning prevention point to the state as a leader in working to reducing drowning deaths. Some states have resisted adopting measures similar to Washington’s. A bill requiring fencing around pools went nowhere in the Texas Legislature this year, despite appeals by safety experts. Pennsylvania withdrew lifeguards from most public beaches at state parks in 2008 and has resisted restoring them, although an auditor general’s report said the budget savings weren’t worth the risk to public safety. Carvin DiGiovanni, a vice president with the Association of Pool & Spa Professionals, said that most states leave fencing and lifeguard requirements up to local jurisdictions, and that metropolitan areas are more likely to have such rules than other areas. Even in areas with fencing laws, Weiss, the Phoenix doctor, said that they are often poorly enforced. Unlike fencing and lifeguard measures, all states except Virginia and Wisconsin have life jacket requirements for boats operating in open water, according to the Boat U.S. Foundation, a nonprofit that promotes boating safety and clean water. The age requirements vary: in Louisiana, those 16 and under must wear a life jacket, while in Florida and Michigan, the rule applies only to children 6 and under. In many states, anti-drowning initiatives have been undertaken not by government, but by activists in partnership with local agencies such as hospitals, fire and health departments, emergency responders and organizations such as YMCAs. Harvey, of the Red Cross, cited Phoenix and Clark County, Nevada (where Las Vegas is located), as places with strong coalitions that have promoted anti-drowning efforts and education campaigns. The Red Cross, which trains and certifies lifeguards and water safety instructors nationally, also launched a new initiative last year to help states and local jurisdictions decrease drownings. It identified 50 cities with especially high rates of pool drownings, including Key West and Punta Gorda, Florida, which had the highest rates, followed by Hilo, Hawaii, and Panama City and Stuart, Florida. The Red Cross offers funding, training and technical assistance to help the cities implement anti-drowning measures, many of them aimed at improving swimming skills and increasing CPR training. In New York, the Red Cross is active in providing training at 15 state parks, said Harvey, who is head of the organization’s anti-drowning initiative. The U.S. Consumer Product Safety Commission, which monitors pool safety, also has a grant program that in January will begin distributing $1 million to local jurisdictions to help provide training in the installation of drain covers in public pools to prevent entrapment. In 2007, uncovered pool drains were the cause of nine drownings and 63 injuries in the U.S., according to the agency. Between 2008 and 2012, the commission reported only two deaths and 32 injuries as a result of uncovered drains. While many advocates, such as the Red Cross and YMCA, say swim lessons are the most effective way to prevent drowning, that approach has in the past been controversial. The American Academy of Pediatrics used to recommend against swimming lessons for children under 4. Weiss said the policy stemmed from concerns that parents and other adults would relax their supervision of young children if they had learned to swim. But the thinking changed after the publication of a 2009 study showing that swimming competency was one of the best ways of reducing drowning, Weiss said. As a result, he said, the group changed its policies to remove objections to lessons for children as young as 1. The rate of drowning deaths for 1 to 4 year olds dropped from 3.68 per 100,000 in 2010 to 2.95 after the revision, said Weiss, one of the authors of the new policy. The drowning rate among young blacks is 5.5 times that of whites, according to the CDC. The reason is both cultural and economic, swimming experts say. Harvey, of the Red Cross, said that blacks in the U.S. tend to have less access to pools and swimming lessons. In addition, because blacks parents are less likely to be competent swimmers (in part due to a legacy of segregation, when pools restricted use by blacks, Harvey said), their children are far less likely to be swimmers as well. A study by the USA Swimming Foundation and the University of Memphis found that if parents didn’t know how to swim, there was only a 13 percent chance that their children would learn to swim. The foundation says that 70 percent of blacks don’t know how to swim compared to 40 percent of whites. In recent years, the Red Cross has promoted the notion that if young people aren’t given swimming instruction, they should at least be given instruction in water survival. In those programs, children must master five skills: resurfacing after submerging, treading water, rotating 360 degrees in the water, traversing at least 25 yards, and climbing out of the water without use of a ladder. If schools are unable to provide training in water, the Red Cross strongly urges school systems to provide dry land instruction, to teach children only to go into the water where a lifeguard is on duty and never to go swimming alone. Harvey said that schools in Dallas, Tucson, Arizona, and Broward County, Florida, provide that kind of instruction. Some 531 Emergency Patients Were Airlifted From The Territory To The Mainland After Irma and Maria … Where Are They Now?